“When talking about climate change, we are not talking about something which is a future threat. We are not talking about something which may or may not happen in 50 years time, or 20 years time. We are talking about something which is happening now in terms of the effects of climate change on peoples’ lives now…” John Holmes, the United Nations undersecretary-general for humanitarian affairs and disaster relief told WorldNetDaily, (Dec.17 2009). Climate is an important factor in all sorts of things that our health depends on. The Global Humanitarian Forum claims that 300,000 people are already dying each year because of climate change induced malnutrition, diarrhea and malaria as well as extreme weather events. Rice yields are known to decline by 10 percent for each additional 1 degree Celsius rise in temperature, and salmonella bacteria like hotter weather as do mosquitoes. Predictions are that hotter summers and milder winters will lead to an increase in mosquito-borne diseases. “Many diseases are ‘highly sensitive’ to climates and climate temperatures, and malaria and dengue fever can be expected to spread to new areas.” says Holmes. Dengue fever occurs mostly in tropical and subtropical countries in Asia and Latin America but also affects countries like Australia (Queensland) and the United States (Puerto Rico, Texas-Mexico border, Hawaii and the US-affiliated Pacific Islands). In 2008 and 2009, severe dengue epidemics were reported in Mexico, Paraguay, Brazil, Bolivia and Argentina. And in early 2009, Queensland experienced its worst dengue outbreak in 50 years with more than 1000 people infected and one woman killed. The spread throughout regional cities including Cairns and Townsville was so rampant, experts held a dengue summit, summoning experts from all over the world. Dengue is spread by two mosquito species; the yellow fever mosquito (Aedes aegypti) and the Asian tiger mosquito (Aedes albopictus). Both these mosquitoes are aggressive daytime biters and lay their eggs on the sides of any water-filled containers. However the Asian tiger is more cold-tolerant than Aedes aegypti mosquitoes, and can spread more easily. The Asian tiger mosquito is a disease bearer or ‘vector’ of over 30 arboviruses including West Nile virus, various strains of encephalitis and Chikungunya fever, making it the most significant nuisance mosquito worldwide. 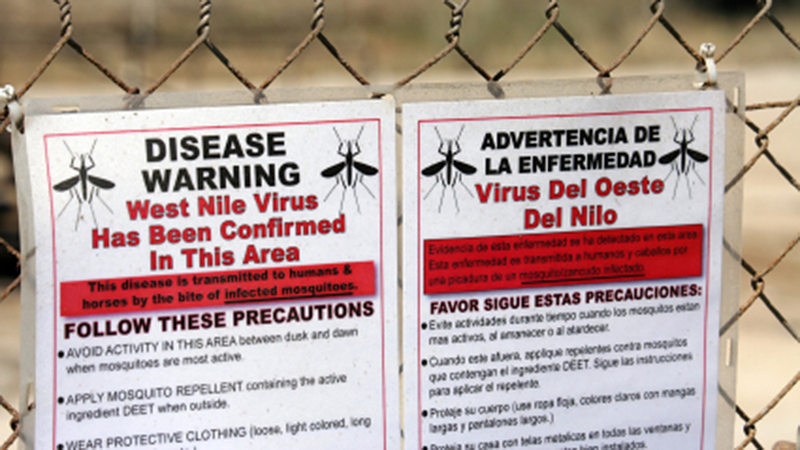 Because there are still no vaccines to protect against many mosquito-borne diseases, the Centers for Disease Control (CDC) advise that preventing the bite is the best protection. People should limit outdoor activity around dusk and dawn when mosquitoes are most active, wear long pants and shirts and spray exposed skin all over with insect repellents like DEET before leaving the house and keep bushes trimmed and grass mown round the yard to keep mosquitoes at bay. Another way to reduce biting incidences and the risk from disease is to decrease the number of mosquitoes using mosquito traps. EnviroSafe Technologies, manufacturer of Mega-Catch™ mosquito traps, engaged Professor Yap Han Heng from the Vector Control Research Unit, School of Biological Sciences, University Sains Malaysia to advise on, and test trap designs in South East Asia. One of their primary objectives was to develop a trap which would attract and kill the Asian tiger mosquito. What seems to make these traps particularly effective is that they employ a wide range of visual stimuli to attract mosquitoes. This is an important factor in the case of daytime biters like the yellow fever and Asian tiger mosquitoes who rely, not only on visual, but chemical cues, to find their targets. (b) daily trapping during the season – this will interrupt breeding cycles, reducing mosquito populations. Global warming and climate change will mean an increase in overall temperatures and rainfall, which in turn means more mosquitoes. “You don’t need to be a scientist to work that out,” according to Mega-Catch™ Sales Manager Nicky Stockman, “Trap sales are up on the same period last year, in fact, existing customers are buying a second, or third trap in order to keep up with bumper mosquito crops,” says Stockman. Few in the US would argue that the typical “mosquito season” appears longer than in previous years – mosquitoes are hatching earlier and staying around longer as the first frost is delayed. Given that mosquitoes remain active until temperatures drop below 50 degrees, ongoing precautions are essential. Because, just one bite is all it takes to transmit disease – and as the saying goes, it’s better to be safe than sorry!